SULLIVAN'S ISLAND, South Carolina - A view of the lower level of Battery Jasper (1898-1943), the primary Endicott System battery on Sullivan's Island. The battery was named for Sgt. William Jasper. 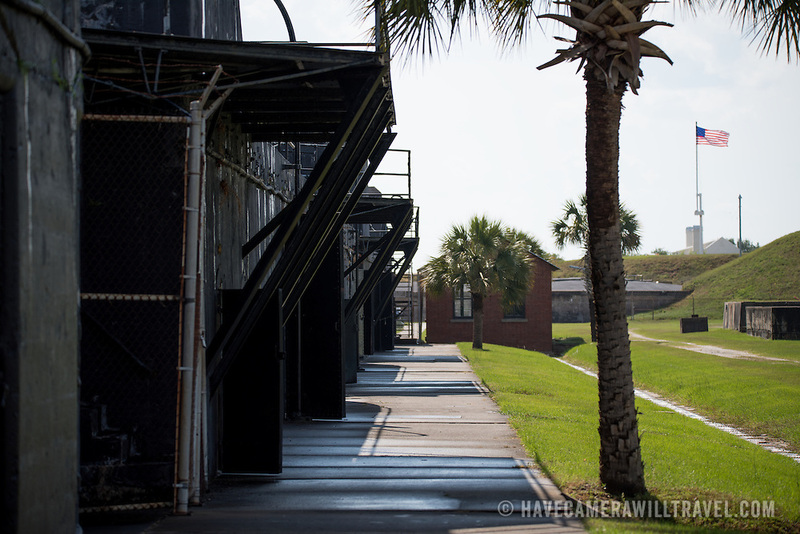 Fort Moultrie is part of the Fort Sumter National Monument at the entrance to Charleston Harbor in South Carolina. The fort has played a crucial role in defending the harbor from the time of the Revolutionary War through World War II. During that time it has undergone multiple upgrades, from the original palmetto log walls to the newer heavily fortified earthen bunkers.